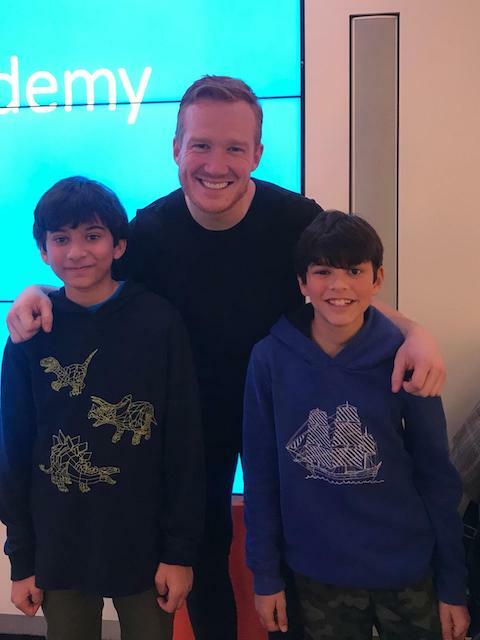 Our team of child reporters Oliver & Leo Bush with Mum Bibi attended the Lego City Hero Academy at the London Transport Museum in Covent Garden and sent me this wonderful review that I am happy to share. Check this out. 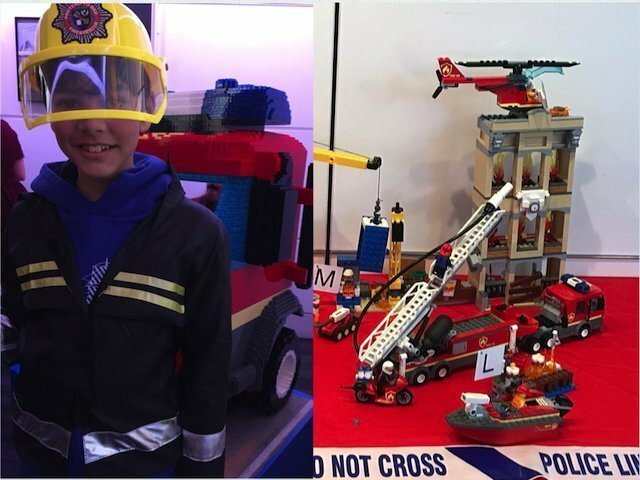 Today we joined the Lego City Hero Academy at London Transport Museum for a fun and heroic experience. The speakers were friendly and engaging. Greg Rutherford, an Olympic Gold Medallist is a real life hero and parent. Greg has a great personality and didn’t hesitate to take a nice picture with us. LEGO Certified Professional Kevin Hall and Child developmental psychologist, Dr Sam Wass from C4s, secret life of 4 year old talked about creative play and the benefits of active imaginative play. Play from learning and learning from play. Lego can really inspire all kinds of hero’s, for example, if you want to be a knight, build a castle, if you want to be a fireman, build a fire engine! We would love to have a fun job like Kevin who is a full time brick artist. Leo and I think, that’s a really cool job. 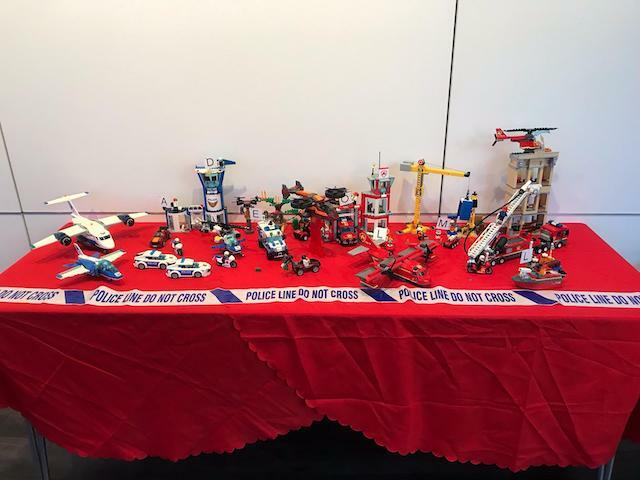 We built the new Lego City Sky Police and Down Town Fire Department sets which we enjoyed very much. The new sets consist of drones, robots, para shoots, air pumps and water guns. Unfortunately, we weren’t allowed to keep any of it. But we got a goody bag with another lego. We also did a creative building session where we had to make ‘your hero’. So we built our hero, our dad who is the most caring and selfless person we’ve ever known. 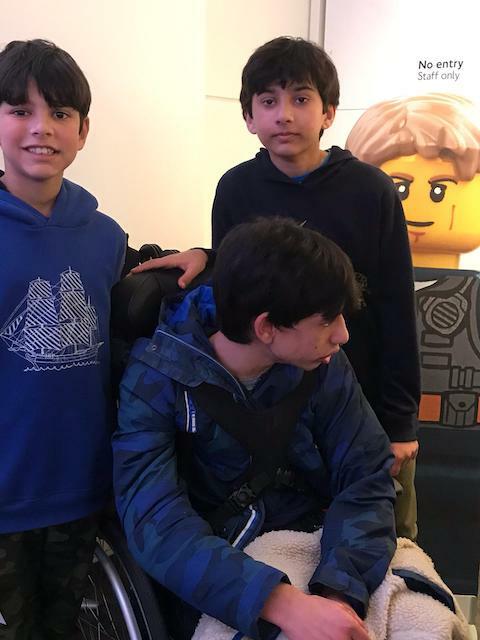 He patiently cares for our disabled brother Adam with so much love and affection. And he is very kind to us too although he can be very annoying sometimes. I attached a picture of our hero dad, mine is the chubby one with the red cape. I know not all hero’s wear a red cape but I think my dad deserve his very own special red cape. 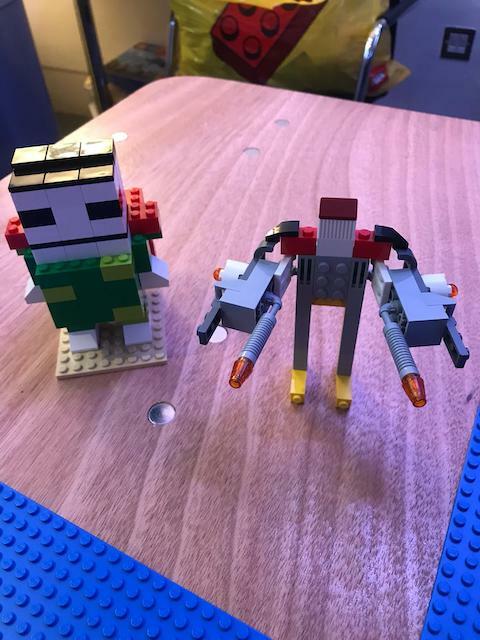 The skinny robotic Lego Hero is Leo’s. He thinks dad is a robot, he does a lot of things and still doesn’t get tired. And that includes nagging as well. 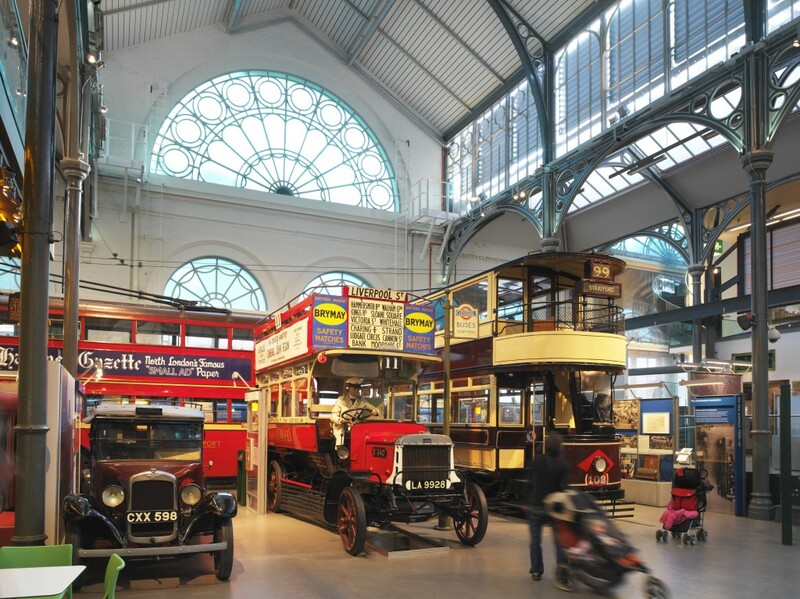 The London Transport Museum is accessible for wheelchair users with level access at the ticket desk and lifts to all floors. The toilets are wheelchair Accessible as well and baby changing facilities are available. We had no problem getting Adam in and out of this venue although it was somewhat small. So be creative with your Lego sets, go build a bakery if you want to be a baker. Or build a school if you want to be a teacher. Go and become a hero. This entry was posted on Friday, April 12th, 2019 at 1:10 pm and is filed under Attractions. You can follow any responses to this entry through the RSS 2.0 feed. Both comments and pings are currently closed.